· Approved a recommendation to the Synod Council that the 2017 audit be approved upon its receipt, conditional that the report is a clean report. 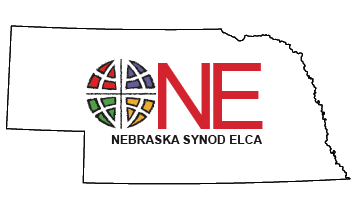 · Reauthorized representative of congregations under development and synodically-authorized worshipping communities to serve as voting members of the 2018 Nebraska Synod Assembly. · Approved a recommendation to the Synod Assembly that the 2019 Compensation Guidelines be approved. · Approved changes to constitutions and bylaws for 17 congregations. · Approved request of Immanuel for the election of Michael McDannel, Cynthia Alloway, George Grieb and Clarence Nichols to the Immanuel Board of Directors. · Approve request of Nebraska Lutheran Campus Ministry Corporation for the appointment of Mike Bokoven to the NeLCM Board of Directors. · Appointed initial members of the 2019 Synod Assembly Planning Team. · Released Immanuel, Ceresco, from the roster of congregations of the Nebraska Synod and the Evangelical Lutheran Church in America after two properly called and conducted congregational meetings in October 2017 and February 2018. · Adopted an amended 2018 budget, adjusting revenue to reflect more current assumptions and reducing expenses to achieve a balanced budget for the year. · Approved a $5,000 grant for the Project Embrace summer programs at Augustana and First, Omaha. · Approved Synod Council call extended to John Gok Kuany Badeng as Mission Developer at Nile Lutheran Chapel, Omaha, and approved his housing allowance as part of his compensation. · Approved compensation and benefits increase for Bishop Brian Maas. · Approved the recommendation and rationale of the Resolutions Reference and Counsel committee related to Resolution 2018:1 and Resolution 2018:2. · Approved a waiver of provision C.9.07 relative to transitional/interim contract and availability for call for the Rev. Kristine Schroeder. · Approved renewal of existing Synod Council call to Ted Carnahan, Mission Developer at Spirit of Grace Worshiping Community, Holdrege, for one year, renewable, effective 7/1/18. · Approved the transfer to the retired roster for Jonathan Jensen, Gretchen Ritola, David Sites, Sylvia Karlsson, Maria Szurpicki.